The video quality of the new Looksie device is worse than the choices I just outlined. 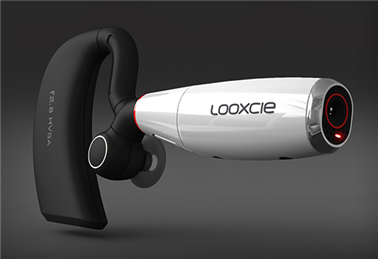 Yet, Looksie is the first consumer-friendly device that I’ve seen in an attractive form factor. More interestingly, it integrates with Android phones (sorry, iPhone people) to transmit video over Bluetooth and share it over the Internet. When it comes down to it, it’s great to see a nice-looking personal gadget that allows people to capture their surroundings in new ways. Oh, and if you’re wondering, lots of comments in the TechCrunch post about Looksie already mention the point-of-view pr0n capabilities. So let’s not go there.